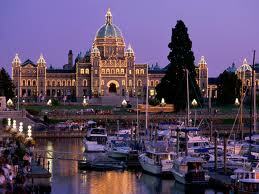 Thanks to everyone who attended the BCOCs hosted in Victoria. Come join us for a two-day orienteering festival hosted in the beautiful garden city of Victoria on Vancouver Island, British Columbia. Event locations will feature Camp Thunderbird on a newly updated map and the campus grounds of the Camosun College Interurban Campus and adjoining Layritz Park. There will be two key events - a long course and a urban sprint event. Urban Sprint - Newly updated Sprint Map to ISSOM standards. 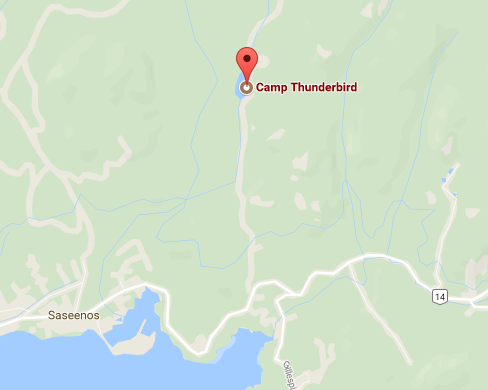 Camp Thunderbird - New area for the BCOCs. Recently updated map including very interesting technical and physically demanding terrain. 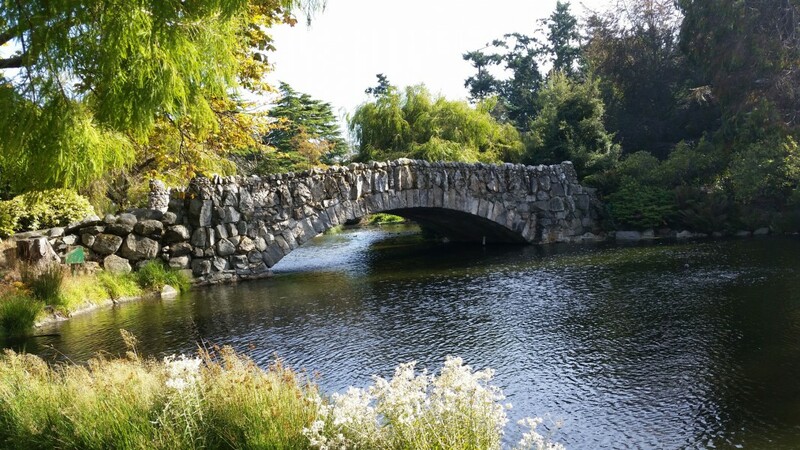 Bonus Trivia O - Explore the rich history of Beacon Hill Park in downtown Victoria by engaging in a fun self-timed Trivia O in this beautiful historic park. Sep 30 Anytime Fun Bonus Trivia-O at Beacon Hill Park. Self-Timed. Start at your leisure. Beacon Hill Park. Map will be sent out to those who register online. 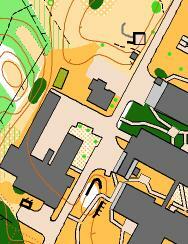 Urban Sprint - variety of urban campus buildings mixed with rugged natural terrain. 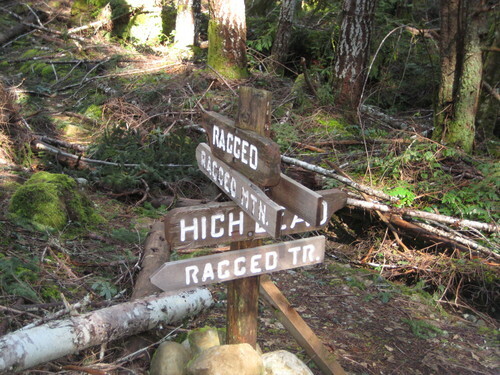 Long Course - Camp Thunderbird offers very extensive wilderness terrain containing an intricate trail network and typical pacific northwest coast terrain with complex knoll/forest/rock outcrop detail, along with a mix of open and thick vegetation presenting challenging route choices. Bonus - Trivia O - Beacon Hill Park. This is a city park with easy walking terrain beautiful garden and water features. No fast running required. Self-timed event. Walk and enjoy! 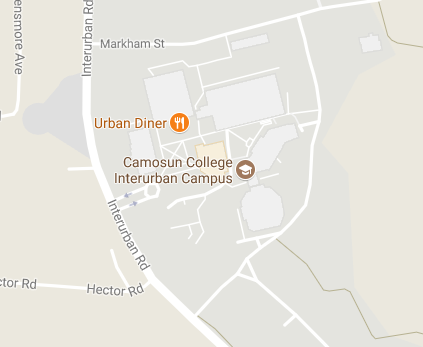 Camosun Interurban Campus, 1:4000, 2m contours, ISSOM conversion and recent updates done in 2017. The sprint race takes place mainly on paved urban campus with some forest areas. All courses will transit through some area of forest terrain. For C-3, C-4 & C-5, footwear with good traction is recommended, but no metal spikes please. All courses will permit lots of fast running with quick direction changes. Opportunities for route choice on the higher courses. Careful reading of the control description will be important as some controls may be located on the upper levels of buildings or stairways. 5 m contours, Updated in 2017. The BCOC Long Event offers technically challenging courses on rugged of the 1000 acre Camp Thunderbird map. 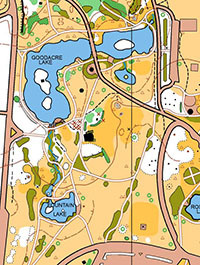 Good route selection and orienteering will enable competitors to avoid the thick vegetation on the map for the most part and traverse the open benches on the map's hills. Enjoy occasional glimpses of the Olympic Peninsual mountains, Juan de Fuca Strait and Sooke harbour. Directions: From Victoria take Sooke Road heading west. 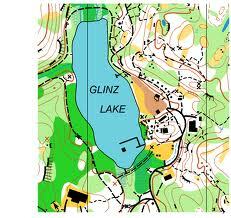 Turn north onto Glinz Lake Road. Park in main parking lot near lake. Approx 45 minutes travel from Victoria and 1 hour from Swartz Bay Ferry Terminal. Directions: From Swartz Bay Ferry Terminal, take the Pat Bay Highway to the Royal Oak Exit heading west. Follow Wilkinson Road to Interurban Rd. 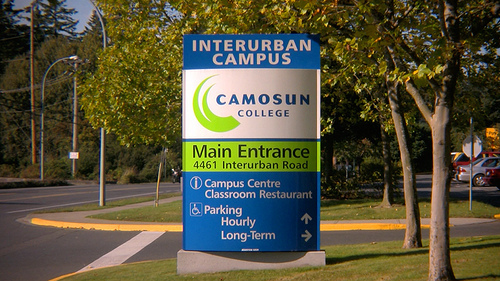 Turn right (north) on Interurban Road follow to Camosun College Interurban College located at 4451 Interurban Road. Turn at Markam Road and follow orienteering signs to the parking area. Park in lot P9. Pay parking in effect ($3.25 to park for four hours). Parking machines accept VISA/Master Card. Registration will open by 9:00 am. First Starts at 1000 a.m. Instead of a separate banquet we have booked space at the Six Mile Pub - a local favourite - located at 494 Old Island Highway. Join us there for 6:00 pm on Saturday. Enter-on-the-day registrations are available at the event for the open classes. Also, a limited amount of on-the-day registrations for the competitive classes can be done based on map availability. Ready to Register? Go to Zone 4 Registration Now! Sport Ident will be used for all events. Please bring your SI stick if you have one. If not, SI Rentals are available for $2/day. Registration and Package Pickup will be located at the assembly area and can be picked up on Saturday September 30th starteing at 10:30 AM, at the Registration Area located at Camp Thunderbird. Watch for signs from the parking lot. Registration Packages are also available one hour before the start of the Sprint Event at Camosun College Interurban Campus. 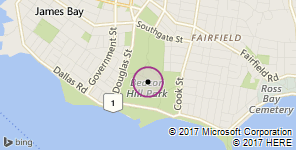 Every registrant will get a bonus free orienteering map of Beacon Hill Park located at Douglas Street and Dallas Road in downtown Victoria. This is a self-timed event, that can be done at your own leisure before or between events. Maps will be sent by email to those who registered online. Stroll the park and use the map to visit 20 locations and answer trivia questions reflecting the rich history of this beautiful city park. If you would like to qualify for a prize, you will need to submit your completed answer sheet to the registration table at Camosun College - Interurban Campus between 0900 - 1000 AM on Sun 1 Oct. A random draw will be made from entries which have all correct answers. Competitors are divided into classes according to their gender and age. Competitors may choose to run on a higher course, if they prefer. This class is open to anyone not wanting to compete in the competitive classes and is suitable for beginners, family groups (up to three) and those with injuries. Standings will be published, but awards will not be given out for participants in the Open Class. This webpage is under construction.